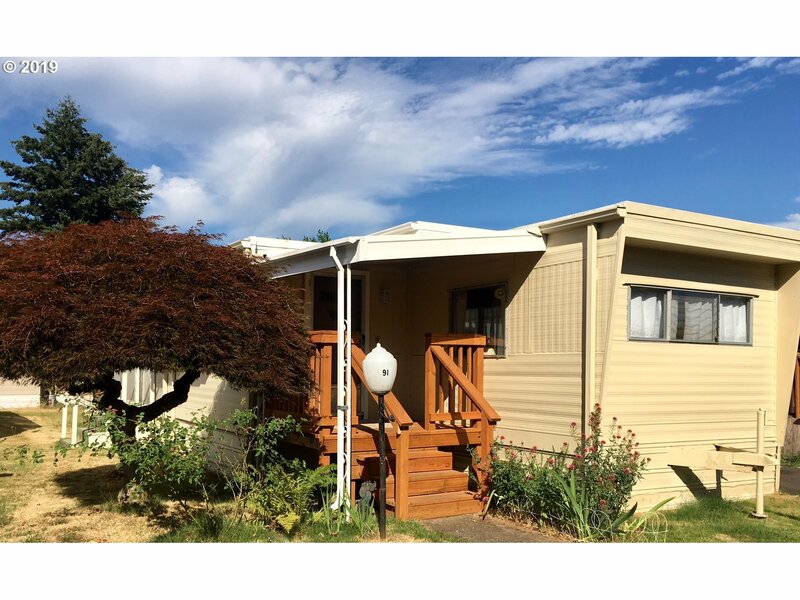 Beautiful and freshly remodeled mid century manufactured home in park. 55+ community only. The home is 622 sqft with an additional 128 sqft bonus room/sunroom. The home is open concept, lots of natural light from windows, and a lot of storage. All appliances are included; willing to negotiate some or all furniture for the right price.Park rent is $510/month NOT including water and garbage .Call Agent for Showing!Cash preferred!